We want you to be satisfied with your order from VioletSupply.com. If you are not totally pleased with your purchase, you may return any product within 10 days for a prompt refund, credit or exchange of your choice. VioletSupply.com does not reimburse the cost of return shipping unless the product shipped was our error or was defective. Please email us at violets@violetsupply.com or contact us at 440-625-2444 and we will help facilitate returns or exchanges. The returned product must be in new and unused condition, in the original box with all the documentation, parts and accessories to insure full credit. “New and unused” means sale-able condition. We cannot accept returns for an item with any indications that it has been used. 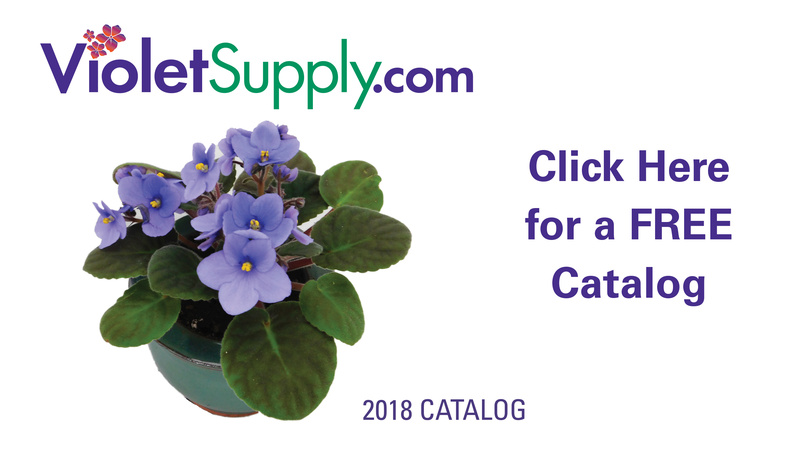 We love satisfied customers so if you have any questions about this policy, please feel free to contact us via e-mail violets@violetsupply.com or via telephone at 440-625-2444. If your order arrives at your door damaged, broken or defective, we will either replace the broken parts or ship out a new one completely at our expense. Requests for replacement parts will be processed as quickly as possible. Please note that we are not able to express ship replacement pieces. Please give us some time to process your return/exchange. It takes 5 to 7 business days for us to receive the returned or exchanged product back from you. Within 72 hours of receiving the item back in our warehouse, you will receive an e-mail that reflects that your credit card has been credited. All refunds granted are for the purchase price of the product only and can only be issued to the credit card used at purchase. If you have placed an order and would like to cancel it, please call us at 440-625-2444 within four hours of placing your order to cancel it free of any charges. Don’t worry! Even after the four hours, our friendly customer service will do all that we can to stop the items from being processed and/or shipped but there is no guarantee that we will be able to stop it in time. We accept special orders, prepaid only. Prices charged will be those in effect when the items are received in our warehouse. Shipping is charged by weight, plus insurance and handling. There are no returns, refusals or refunds for special orders.